Having eye surgery can often be life changing for patients as many have waited a long time before having treatment. Seeing their results, be it improved vision or improved appearance, can be an emotional experience. We have put together some feedback here where patients share their eye surgery experiences after treatment with Mr Sherafat. At first I was afraid of the unknown and quite nervous, but your staff reassured me of how excellent Doctor Hooman Sherafat was and put me at ease. Everyone was very nice and informative. Everything was explained completely. Now having had the surgery completed on my left eye, I look forward to getting the right eye operated and continuing improvement in my quality of life without glasses. I would urge patients to use your services. I had no surprises and I am very pleased with my care. I would like to express my deep gratitude for the service you do every day. Many thanks to you and all your team for “lifting the veil” from my eye. I was treated with great kindness and made to feel perfectly relaxed. The sight in that eye is super – such clarity. Can’t wait to have the right one done. I just don’t know how to thank you for my improved eye sight. Everything is clearer, brighter and the colours are wonderful! Of course, I was a little fearful of the operation, but I had great confidence in you. The actual procedure was totally painless. The right eye could not have been more comfortable; in the left eye I had some very slight discomfort. Two days later the right eye was perfect and there was some ‘grittiness’ in the left; after one week both eyes are excellent. There is a palpable atmosphere of calm and friendliness, the moment one walks in through the door. I can’t praise highly enough the kindness and professionalism of you, Roy, Michelle and the other staff members whose names I do not know. For the second time, you mentioned how still and calm I was on the operating table. Actually, I am naturally a rather nervous person and this again further proves how very assured I felt! Once again, many thanks. Thank you for enabling me to once more view the world in its full glory. I am enjoying it immensely apart from discovering that I have more wrinkles than I had realised! However, a very tiny price to pay for full vision again. Thank you so much for your brilliant work on my eye. It has healed beautifully and I can see perfectly. You have been so kind and reassuring all through my treatment and I wanted to say a very big thank you. My husband thinks you are wonderful too. I would like to thank you for the cataract operations that you have completed on both eyes. You explained that the figures would be hard to work out due to my previous laser treatment. The results are amazing. You have given me a new chance at life! I am extremely happy with the kind and considerate care I have received from Dr. Hooman Sherafat who performed a reconstruction after the removal of a basal cell carcinoma from under my eye. The repair is so good that it is difficult to tell where it has been done and this after only a few weeks. I was very anxious when I first went to see Dr. Sherafat, not least of all because of the stories one hears about the care of the elderly , but he quickly allayed my fears and I have nothing but praise for this kind and accomplished doctor. Dr Hooman Sherafat operated on my droopy eyelids and I am thrilled by the result. Not only do they look great but the operation has opened up a brighter world for me and vastly improved my upper vision. The care that I received from staff at Kingston Eye unit was second to none and I am totally impressed with the whole experience. I would recommend this Dr to any of my friends and family as he is so competent and ensured that I felt comfortable and pain free. Dr. Sherafat, is a kind and understanding professional who has great pride in doing the very best for his patients. Over several years he has performed a number of complicated procedures on my eye which have required enormous expertise and patience from him. 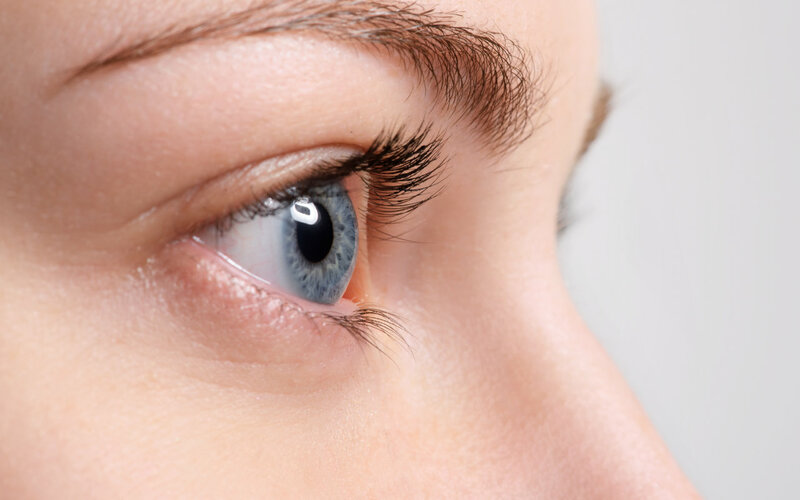 It was necessary to remove a melanoma from one eye and afterwards use part of the eyelid from one eye and graft it to the other This has been successful, leaving the very minimum of scarring, and more importantly greatly improved vision. A number of colleagues have inspected his work and have been hugely impressed by his achievements. 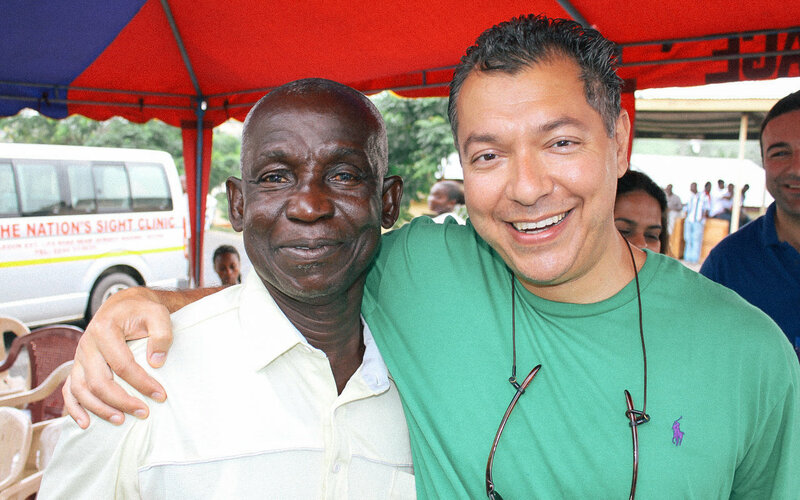 I will always be indebted to Dr. Sherafat for his reassurance, kindness and skill. May I also praise the team who work with him they also have been unfailing in their competence and kindness at all times. 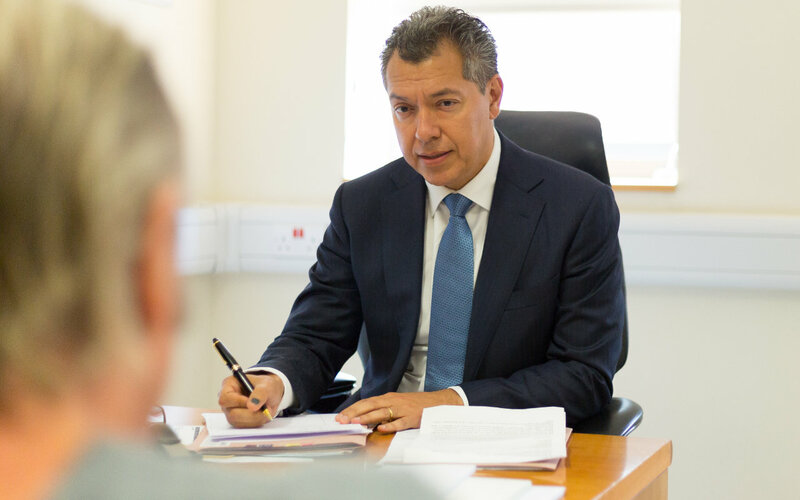 Mr Hooman Sherafat has over 20 years experience as an ophthalmologist and treats a wide range of eye conditions.